This hotel is ideally located at the heart of trendy Escazú, adjacent to the city's largest and luxurious shopping mall. Rooms and suites are a haven of relaxation, with plush bedding, soundproof windows and upscale amenities. Three unique concept restaurants and two bars offer an array of gastronomic options amid a vibrant atmosphere. Indulge in a relaxing treatment at the largest urban spa in Central America. 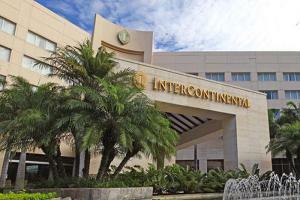 Located 9 miles from Juan Santamaria Airport, and only 6 miles from San José.